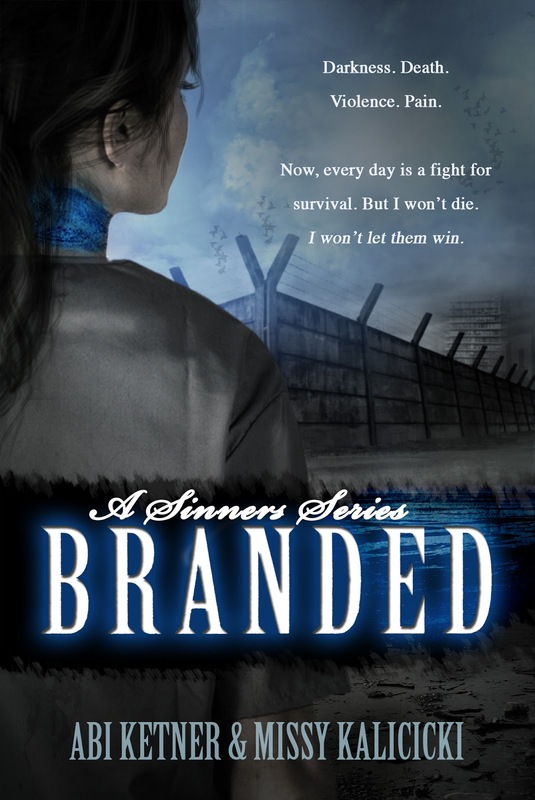 I read the first chapter of Branded before it was released and was immediately hooked. Now that I have read the rest, I know all the excerpts that I have read did not do this book justice. 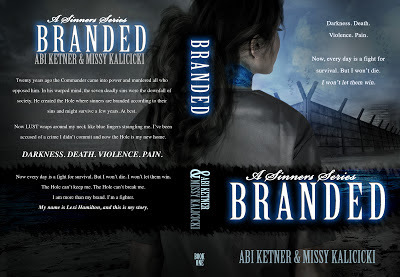 Once I began to read Branded I couldn't stop, Abi and Missy had captivated me like no author had before, especially with a Dystopian novel. I don't read Dystopian because the don't normally hold my interest that wasn't so with this one. There was always so much excitement with each new chapter, there was drama and twists around every bend. I loved it. The characters were amazing and written with complete detail. I have to admit some of the detail had me cringing in my seat but not to the point it turned me away. 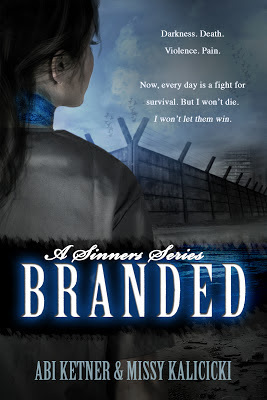 Although I would normally go after the hot character as being my fave in the book and I must say Cole will definitely go down on my top ten Book Boyfriends, my favorite character in this story was Alyssa, her character really touched my heart, the tears I shed for this book was more for her than anyone else. I loved how fierce Lexi became as the story went on, even though she had nothing to live for and had lost everything already she was determined to keep fighting, her bond with Cole just strengthen the determination she already had. 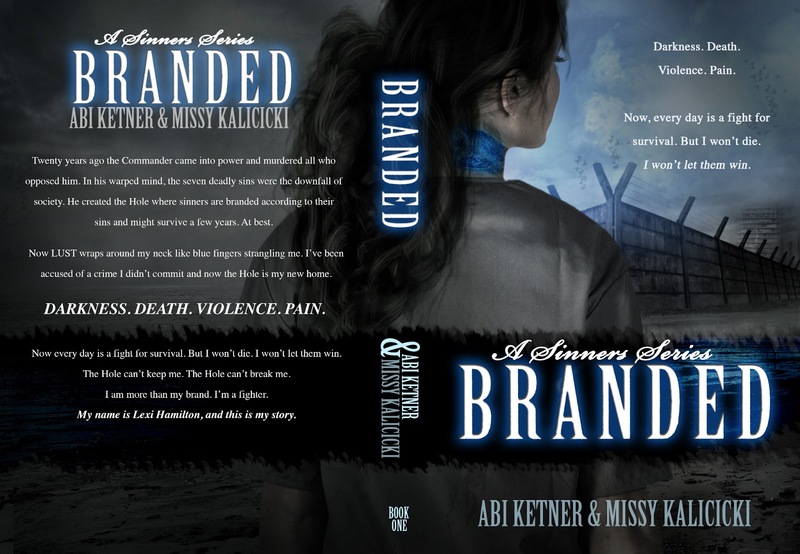 I didn't realize how true my word were when I told Abi and Missy that Branded was the most sought after Dystopian, Indie written book of 2013 until after reading it. Now that I know what everyone was so hyped up about I can't wait to read more of what's to come from this duo. 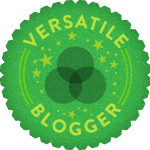 Their writing style is one that I could read forever. I just know this series is going to be EPIC! I want this book so badly! 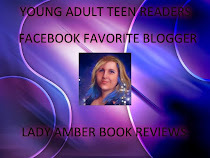 It has caught my eye in many a review and I am becoming book obsessed lol! Looks amazing!